Many people who get divorced, whether they have an attorney or not, believe that once the divorce judgment is entered, the case is over. If you don’t have children, many times that is true, but in family law, nothing is forever. Many Courts won’t tell you that, and many attorneys who practice family law won’t advise clients about the fact that custody, parenting time, child support, and failures to comply with the terms of a judgment of divorce, along with a list of other potential issues, are all reviewable by a Court and can change, if one party can prove to the Court that a change is necessary. 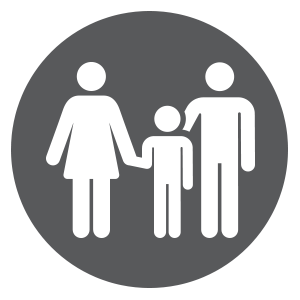 Other than child and spousal support, the most common post-judgment motion for modification of a judgment in family law cases involves custody of a child or multiple children. When these motions are filed by unrepresented persons, or by lawyers who are not familiar with family law, they are often unmerited or aren’t really requesting a change in custody, but rather, are seeking to increase or decrease one party’s parenting time. While this may seem like a simple or stupid question, it means something very specific in Michigan law, and is often misunderstood by both litigants and attorneys who practice in this field. In Michigan, the term “custody” is used as the colloquial for what family lawyers know as “legal custody.” The term “legal custody” in its simplest iteration means, who gets to make major decisions for the child, such as where they go to school, should they have a major medical procedure, or where does the child go to church and in what religious denomination should they be raised. Generally, the Courts defer to a joint legal custody model, which permits both parents to have input in these decisions, and require that both parents discuss those issues and agree before a decision is made. Often, what we call legal custody in Michigan is not what people think of first when they talk about or think about child custody. Most folks think about who physically has the children with them and for what amount of time. Colloquially, this form of custody is known as “physical custody.” In Michigan, while many Courts recognize motions for changes to physical custody, in Michigan, the term “physical custody” is not generally recognized as the appropriate terminology to use for this concept. Rather, the Courts and most lawyers who practice in this area, talk about “parenting time,” when figuring out how much time each parent should have with the minor children. Evaluating Changes in Child Custody. First, litigants need to know what they are asking the Court to do. When a parent wants to make a motion to change custody, good lawyers will make sure to find out exactly what it is the client wants to do. Sometimes, a motion to increase or decrease parenting time is more appropriate, and in some cases, is much easier to prove. Sometimes, a party may only want to ask the Court to make a decision on a legal custody issue where the parents cannot agree, even though they may generally agree about other decisions. Some examples would be a change of school districts (change of schools motion), or a motion for one parent to move more than one hundred miles from the child’s current county of residence (change of domicile motion). Many of those sub-categories of change of custody motions have specific and different requirements that must be proven to the Court in order for a party to be successful. However, when a parent does in fact want to change legal custody of a child, there is a set of legal procedures that a party must show the Court both in their motion, and, ultimately, through evidence presented at a hearing. Custody Hearings Require Process and Patience. Telling the Court that the other party is bad and won’t agree with you about anything is not going to be enough to change legal custody, even if that is true. The other party will simply say you are at fault and the Court will have no way to decide who is really the bad actor. In those circumstances, the Court simply shakes its finger at both parties and says “get along and find a way to make things work.” In cases where one parent really is the bad actor, that result is very frustrating. Instead, there is a process and procedure by which custody motions should be presented and argued, which an experienced family law attorney can provide assistance in doing. In all custody motions, the party that wants a change has to show that that there has been a “change in circumstances” that has happened since the last custody order was entered by the Court. The change can’t be an ordinary life change (puberty, changing from middle to high school, getting braces), but must be substantial change in the life of the child that has an impact on their every day life. Because each situation is unique, litigants should talk to counsel about their situation before determining whether the change that parent is alleging meets the legal requirements. If you can show a change in circumstances, then the Court must determine whether the child has an established custodial environment (ECE) with one, both, or neither parent. An ECE exists where the Court finds that the child or children look to the parent for love, guidance, affection and the necessities of life. The ECE determination by the Court sets the standard of proof the moving party will have to reach in order to obtain the requested change of custody. If the Court determines that the ECE will not change as a result of granting the moving party’s motion, then the standard of proof is a preponderance of the evidence (just a bit more than 50%) that the change of custody would be in the child’s best interests. If the ECE will change as a result of the motion, then the standard of proof is clear and convincing evidence (just a bit less than the criminal standard of beyond a reasonable doubt and substantially higher than preponderance of the evidence) that the change would be in the child’s best interests. Best Interests of the Child Standard. If a change of circumstances has been shown, and the Court has made its determination regarding established custodial environment, then, regardless of the standard of proof, the Court will consider the best interests of the minor child. Many litigants think that the more bad things they can say about the other parent, the more likely they are to win. However, that is often not true. In fact, the Courts generally pay little attention to the feelings of the parties for each other. Rather, they are focused on what is best for the child and the child’s well-being. Oftentimes, if a parent is vehemently and aggressively denouncing or attacking the other party, the Court will look upon that with suspicion, and will often begin an inquiry as to whether or not the aggressive parent is saying negative things about the other party in front of the child. If the Court believes that is happening, that can back fire, and cause the parent seeking the change to actually lose parenting time or possibly custody of the child where they had started out trying to obtain more. The Court is not interested in the back and forth between parents. They must focus on the twelve best interest factors set forth in the Child Custody Act when making their determination about how to decide a custody motion. Another common misconception is that the factors are a simple mathematical calculation: if more factors favor one parent than the other, the parent with more should get custody. The Courts have expressly rejected this type of mathematical calculation, and rather, have discussed the complex interplay of the factors and the weight that Courts should give to each one. Custody motions are complicated. 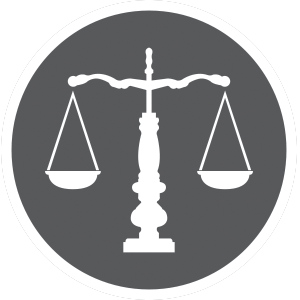 Most litigants are ill equipped to handle them without legal assistance. Whether you wish to file a motion, or if you are defending one, experienced legal counsel is important. Family law attorneys understand the complexities of these motions and what it takes to be successful in filing one. If you are thinking about filing such a motion for a change of custody, parenting time, or any of the sub-issues that arise from legal custody disputes, your best bet is to consult with an experienced family law attorney who can help you make the best decision for your circumstances.